The variety of Enterdonat lemon ready for export. 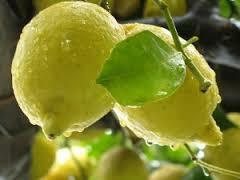 Back home page > Sector news > The variety of Enterdonat lemon ready for export. While traditionally, cutting authorization is granted for both the Meyer and Enterdonat varieties, this year the Meyer variety was exported much earlier, starting August 20, 2018. The market situation and the favorable weather conditions made it possible to advance the season. The export will be authorized from September 20th. The decline of the Turkish lira will be a determining factor for this season. Last season, Enterdonat production was very low. It should reach normal numbers this season. Okitsu and Miho-Wase mandarins may also be exported from this date, one week earlier than the previous year.